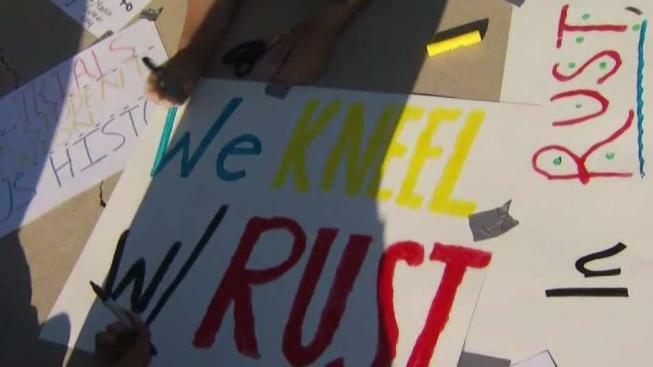 Students at Heritage High School in Brentwood are rallying for a well-liked teacher who is being transferred after he was seen in a video taking a knee during a campus flag-raising. 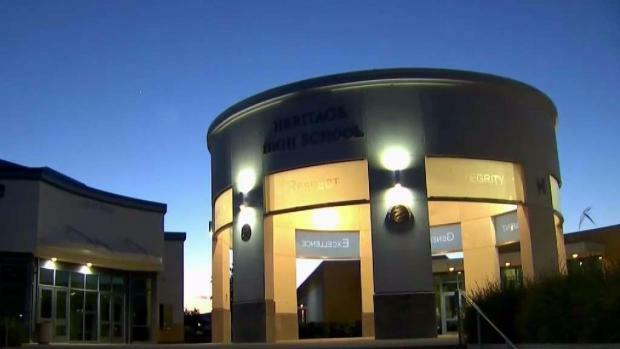 Students planned to protest at a school board meeting Wednesday night against the decision to transfer U.S. history teacher Tyler Rust, who was videotaped kneeling while a Jr. ROTC member raised the American flag at Heritage High two months ago. Students at Heritage High School in Brentwood are rallying to keep a well-liked teacher from being transferred after he was filmed taking a knee while an American flag was raised. Cheryl Hurd reports. "When we saw him kneeling, he explicitly stated it was to bring attention to police brutality," Heritage senior Rezahn Abraha said. "I want them to reverse their decision," Abraha said. Abraha and Kayley Phillips started an online petition and as of Wednesday had gathered more than 12,000 signatures. They say dozens of students were expected at the board meeting protest. "We want to let them know how important he is to our school, and we want them to keep him at Heritage," Abraha said about Rust. In addition to teaching history, Rust is the adviser of the school’s black student union and debate club. Students say his bold actions and teaching style encourage critical thinking. "It shows in life there’s going to be things I don’t agree with, and I can be bold just like him," Phillips said. "It’s encouraging. He has the courage to do something so difficult to do in this day and age."